If your looking for a turn key tiny home and on a budget take a look at Tortoise Shell Home located in Calistoga, California. At first glance they look a bit like a Tumbleweed Tiny House but they are build for a little more economy and with not as much fine artistry as Jay Shafer’s Tumbleweeds. But for the frugal they seem to be a much better choice simply due to the high quality green construction, strong trailer/foundation, bath, kitchen, and queen sized beds. One nice interior feature is a murphy bed option for those who don’t want to sleep in a loft. They also offer a steel frame model which is lighter and greener than the wood versions. I’m betting that these tiny houses will really gain popularity. They seem like the best offer in the marketplace in quality for the price. Photo credit Tortoise Shell Home. 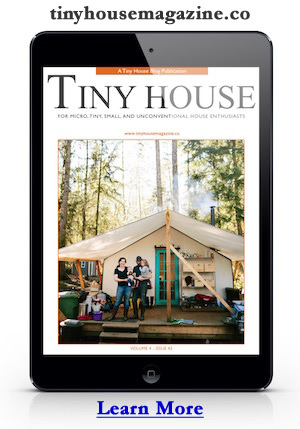 This entry was posted in Builders and tagged tiny house, Tiny House Builders. Hey guys, I bought a 28 ft. Trailer from you about 5 years ago. 28ft triple axle. Is this the rite site..? I don’t sell trailers. I do refer people to trailer builders sometimes. Do you remember the company name? I can probably point you in the right direction.